My name is Josue E. Cordova I’ve been a Vaughan Chapter member for the past 22 years. 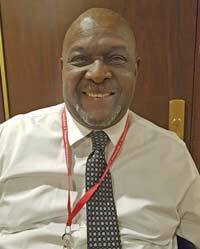 In July of 2016 I was appointed to the Board of Directors where I served until August 16, 2017 when I was appointed Vaughan Chapter President. Through these past years I’ve witnessed as well as you the struggles our chapter has gone through trying to gain its independence to be the organization we’ve always envisioned it could be. I as well as our incredible new officers and board of director members could no longer sit on the sidelines and not get involved. We are working very hard to be leaders who lead by example and not just be men and women with new titles. 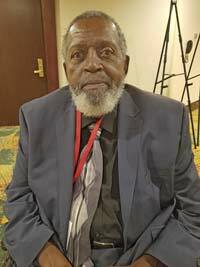 In March, I had the opportunity to attend the 2017 Advocacy/Legislation Training Seminar in Virginia and Washington D.C. to petition for not only Paralyzed Veterans rights but also for the rights of the disabled communities throughout the country. 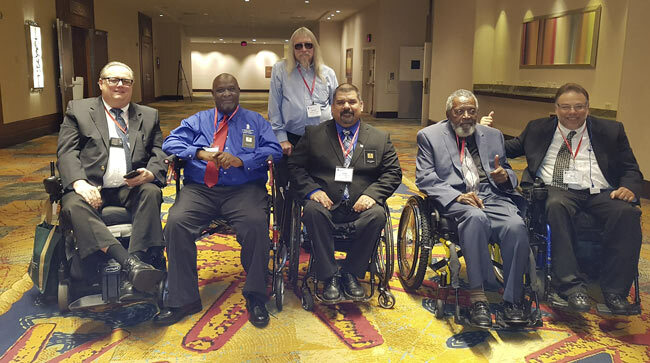 In October 2017, I as well as our officers and Board members were able to attend the PVA National Board of Directors Conference to not only train and learn firsthand from our National and Chapter officers throughout the country but to show the National Board of Directors that Vaughan Chapter is ready to take the reins back to be leaders, not only in our community but throughout the country. As Vaughan Chapter President, some of my goals are to not only establish an independently functioning chapter but to ensure our members know that they are our priority. We do understand that our members can’t do everything every time when it comes to being involved with the Chapter but if all our members can do something for our chapter sometimes, then we are definitely on our way to become a chapter that all other chapters with thrive to be like. Again, I am humbled and honored to hold this position as Chapter President. I will work hard to be a Leader of example with my priority being my actions and not just words. 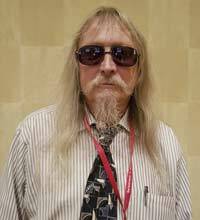 I would like to take a minute to introduce myself; my name is Anthony Powell; I am a Vietnam Veteran and a Paralyzed Vet. I am honored to be appointed Vice-president for the Vaughan Chapter. My main job will be assisting the President and working closely with the membership and be a voice for our members, especially at Hines VA Hospital. This is all new to me, but I will do my best to advocate for you and to learn everything that I need to become more knowledgeable and perform my duties in the best possible way. Hope to meet you in person at our upcoming events. My name is Gerald L Brown, my status is treasurer of the Vaughan Chapter of the Paralyzed Veterans of America. I am a 75-year-old quadriplegic with limited finger movement in both hands. My injury occurred in 1964 because of an automobile accident. After my injury I earned a Bachelor of Science in Business Administration/ Accounting from Indiana University. I also have an MBA in Computer Resource Management and Finance from Webster University. I retired in August 2001 with a work history that included the following, a national firm preparing income tax, internal auditor in a hospital and chief financial officer in a 501 c (3) organization. I became a member of the Paralyzed Veterans of America in 1980 on my first visit to a VA hospital. 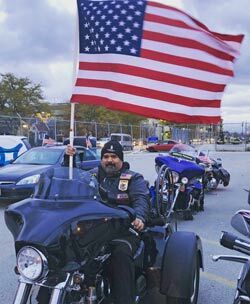 The service officer Of the Paralyzed Veterans of America filled out the membership application including paperwork, submitting a claim for benefit. My history with the paralyzed veterans of America includes serving as local member and on the national level. What that learning process illustrated to me was that I spent the first 20 years after my accident trying to fit round pegs into square holes. Either they didn’t fit, or they fail through. I am humble to be given the opportunity to serve again as a member of the Vaughan Chapter, Board of Directors and hope to continue my learning process. I believe The Paralyzed Veterans of America, having learned firsthand how important PVA is to our rehabilitation process. 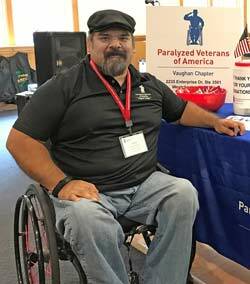 I believe in the leadership of my fellow Board of Directors and hope that I might play a small role in continuing to make the Vaughan chapter Of the Paralyzed Veterans of America a dynamic organization serving our local spinal cord Injured Veterans. My name is Dennis Scanlan, and I am a Marine Corp Veteran, and Vietnam served. I am honored to be appointed Secretary for the Vaughan Chapter. 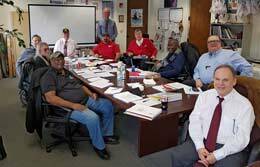 My main job will be assisting the officers and board of directors on my tasks and taking minutes at our monthly board of director’s meetings. This is all new to me, but I will do my best to meet the expectations of the board. I will do the best to perform my duties in the best possible way. I encourage all of you to attend our upcoming events thought-out the year and take the opportunity this great organization offer.